Office 365 suite is widely used by businesses in every domain. In fact, it is taking over its counterparts and has 135 million business users of office 365 products. But this rapid growth in cloud services platform raised a concern for businesses to have a strategy for backup and protect data in office 365 platform. A need for solution is required which helps in access, protecting and backing up mailbox data to backup server. The time required to understand graph API for various entities like mails, contacts, calendars, OneDrive, etc is on higher side. Also, substantial efforts are required to handle various cases using Graph APIs like throttling, paging, batch processing, etc. 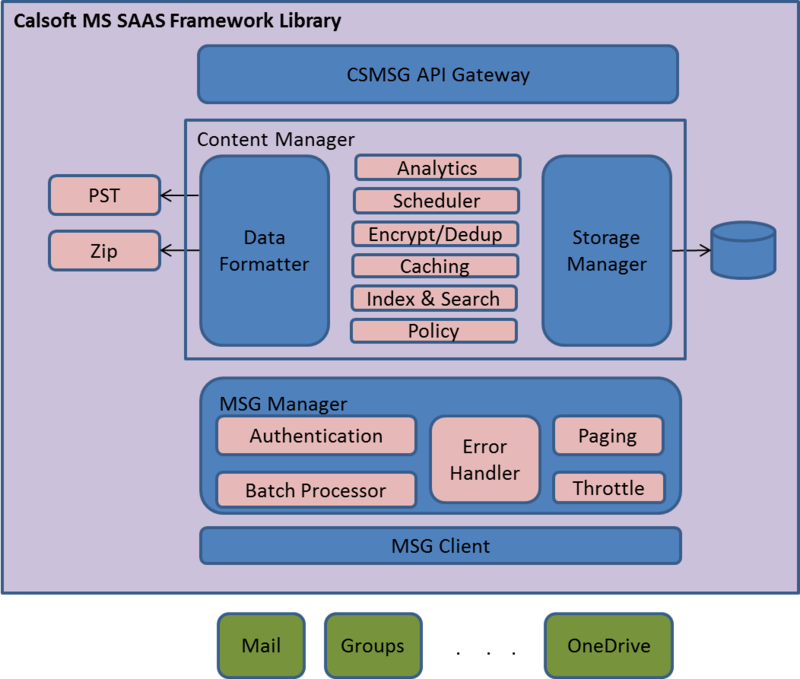 To address this, Calsoft came up with off-the-shelf solution – Calsoft Microsoft Software as a service Framework Library (CmsSaasLib) for Exchange Online, Office365 mailbox backup. It is a pre-tested, reusable, and ready-to-integrate solution with existing backup software or to use as a Turnkey Solution. Backup vendor need not spend time in understanding Graph API details for variety of entities like mails, contacts, calendars, OneDrive, etc. Reduction of effort required to handle various cases using Graph APIs like throttling, paging, batch processing, etc.